This unique combination of natural fibers provides yarn that is both lightweight and lustrous. Equal percentages of fine Merino wool and Chinese Tussah silk are joined to create a truly elegant yarn. - 50% fine grade Merino wool. 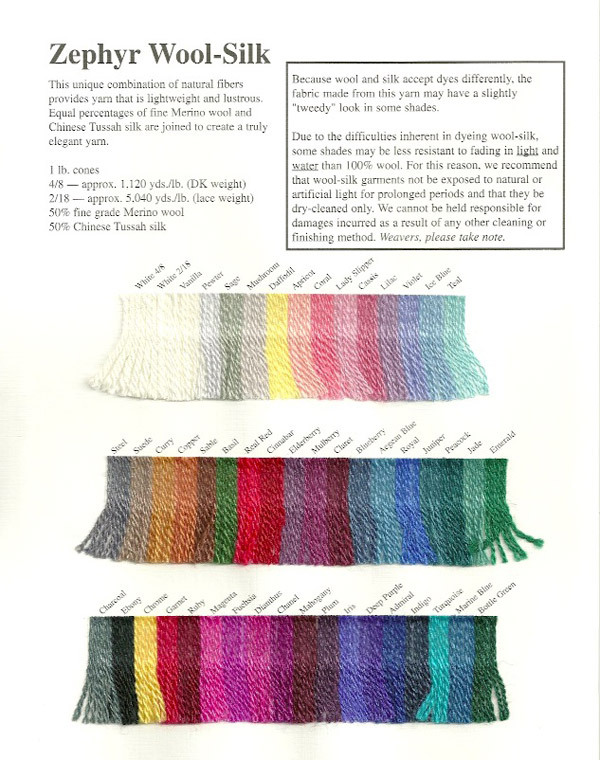 - 50% Chinese Tussah silk.